Burgers has become a staple 'street-side' fast food around most of South-East Asia, and especially here in Malaysia. You can walk along to any stall and order from the menu, a treat made up in a unique way by the 'burger-boy' with his own interpretation of spices and sauces. What's the same is the filling, a composite meat or chicken patty made by a company, and the bun, something stock standard leaving you with no excitement whatsoever. It's time for the burger to take a step up in this world. So imagine a filled out patty with a unique taste and texture, an exotic burger sauce array that will temp your taste buds and a crusty bun. All this can be created with a "veggie", yes "veggie" burger. A veggie burger is a real hamburger-style treat. It can be made from vegetables like corn, lentils, carrots, textured soy, brown rice, potato, beans, nuts, mushrooms, wheat, or a combination of any of these. In fact any vegetable that can be mashed up into a patty can also be used. What's good about a veggie burger is that you can create almost any texture you like, and almost any flavor through the seasonings you use. Curry burgers are fantastic, but if you want some a little Middle Eastern, try a little cumin in the recipe. That's what makes a veggie burger very special, it's a versatile medium you can do a lot with. When it comes to the bun, more imagination can be used. Pita bread is absolutely spectacular and easy to make. Or you can make your own sesame seed buns and have them ready on hand for use. The sauces are the key and it's only up to your imagination. Garlic in mayonnaise is absolutely spectacular, or try horseradish or even wasabi to transform your mayonnaise into a culinary bomb, that will get your customers coming back for more. A basil-mint combination will give you an unbelievable taste within a mayonnaise medium. Another way is to spice up a tomato sauce with some hot spice like Tabasco to turn it into a unique topping. Try a fiery tomato chutney with crushed chilies for a completely different effect. Then it comes to the filling. White onions, lettuce, tomato, beetroot, dill pickles, avocado slices, maybe even with a topping of cheese to make the moment. Look for complementary vegetable fillings like small chunks of pineapple with green peppers to give a unique flavor. 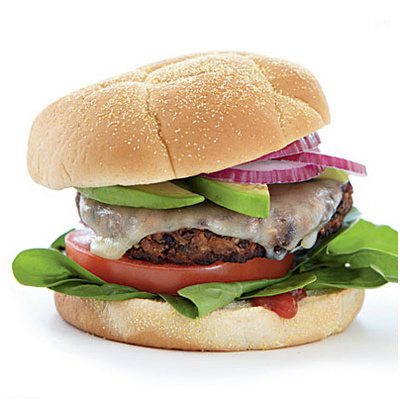 Veggie burgers are fantastic to taste and I believe also a fantastic business opportunity. And are a few ways you can go with this. The first way is to open up a small burger cafe and serve a range of burgers based on different styles and ingredients. That means that your customers can keep coming to your cafe and not have the same burger twice. You can also make the toppings as selections where customers can customer order their favor toppings in say a sweet, neutral, or hot theme. And of course your burger in a cafe would not be complete without either French fries, wedges, or even a baked potato. Such a cafe concept would be unique in Malaysia and surely do very well. Another way is to do veggie burgers at a stall level. You will be a bit more restricted in what you can offer, maybe 3 or 4 varieties, but hit them with the textures, sauces, buns, and fillings; your stall should be popular. Both the patties and buns can be pre-prepared and stored, so on site. You only have to cook and serve. I think there is plenty of room for a high growth thinking entrepreneur to take this concept and franchise it all over the country. 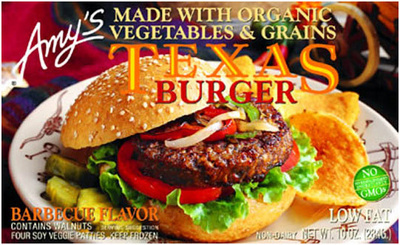 Create your product, create a great brand, and sell the concept to others to serve veggie burgers to the nation in cafes or stalls all over the country. This franchise would be very viable because you can still make the patties, buns, and even sauces for distribution. Done well and you could be a national brand name with a really "blue ocean concept" before any others follow on. Then follow the masters at the burger game, vary your menu form time to time to add value to your franchisees. Finally frozen veggie burgers could even be sold through supermarkets nationwide, bringing this concept into the home. Don't worry veggie burgers are going to make it big here some day. 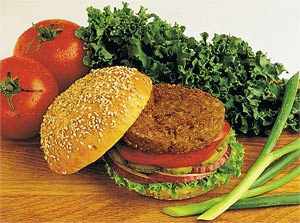 MacDonald's, Burger king and even KFC have veggie burger products which they just one day may launch here. Get in before the others do.